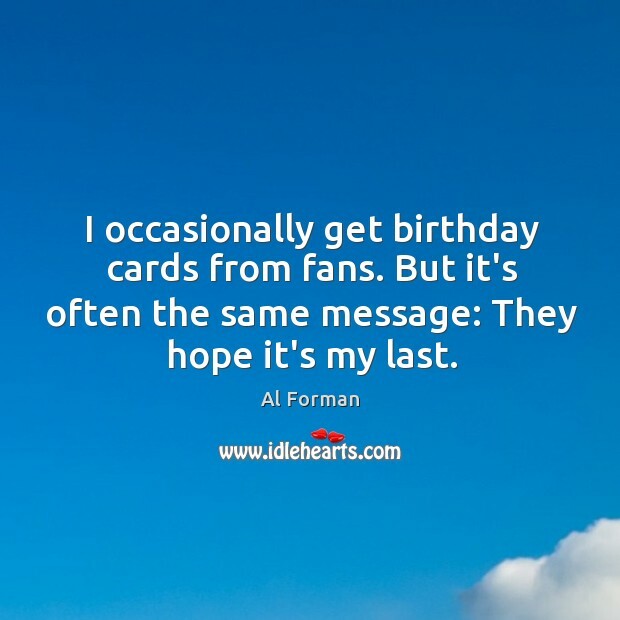 Enjoy the best inspirational, motivational, positive, funny and famous quotes by Al Forman. Use words and picture quotations to push forward and inspire you keep going in life! I occasionally get birthday cards from fans. But it's often the same message: They hope it's my last.